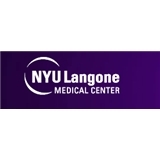 NYU Langone Health (New York) - Book Appointment Online! The Department of Medicine of the NYU Langone Medical Center is among the longest established in the U.S. and is the largest academic department in the NYU School of Medicine. It supports and oversees 10 subspecialty divisions and numerous programs and centers in its three-pronged mission of education, research and clinical care. We train medical students, residents and fellows in Internal Medicine and its subspecialties, with emphasis on the care of patients and on clinical investigation. The Department is recognized for its high standards of education, pioneering research, and superior clinical care, as well as its grounding in the humanities. We welcome your exploration of our web site, which represents who we are, what we do, and what we hold dear. Friendly staff, long wait time, but friendly. Felt like I was being listened to, and not just another patient at the end of a long day. Very good took time to talk to me and explain why he's asking for tests.